Where you're going on Metro-North trains you don't need roads, but you also won't need hoverboards now that the Metropolitan Transportation Authority (MTA) has banned the newly popular devices that bear the same name as the hovering skateboards in the iconic "Back to the Future" trilogy. MTA announced Wednesday it is now prohibiting travelers on Metro-North Railroad, New York City Subway, New York City Buses, Long Island Rail Road, Staten Island Railway or Access-A-Ride from bringing hoverboards on trains or buses or to the stations. The transportation authority is promoting the hoverboard ban in the "Hoverboards Not Allowed" advertising campaign featuring "bubble people." The MTA's safety rules already prohibit using personal wheeled vehicles like skateboards, skates or scooters in train stations and bringing hazardous or flammable material into its public transportation network, according to a press release from the transit authority, which notes the lithium-ion batteries that power hoverboards "pose the risk of fire." The U.S. 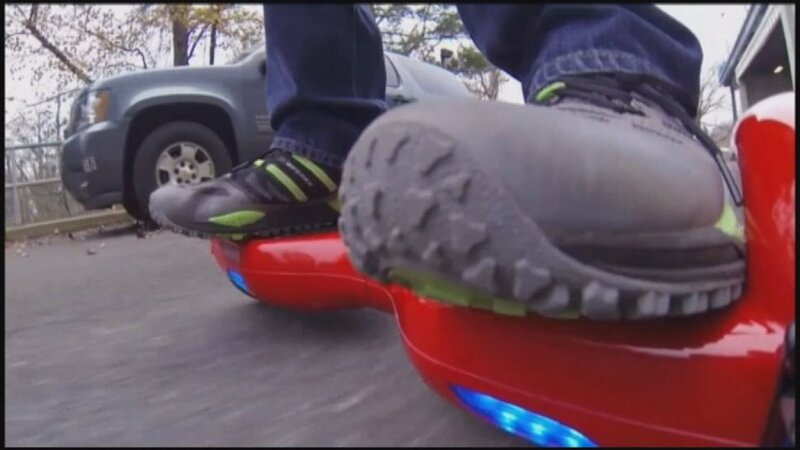 Pipeline and Hazardous Material Safety Administration regulates hoverboards and recently issued an alert that “under certain conditions, lithium batteries can pose a heat, fire, and explosion risk," according to the MTA. The authority discovered that 80 percent of hoverboards in a study didn't have "proper certification of battery testing." MTA police will enforce the hoverboard ban on Metro-North, as well as the LIRR and Staten Island Railway. New York City police will also be enforcing the hoverboard prohibition on New York City's subways and buses. Amtrak, American regional railroads, including Chicago's Metra and Los Angeles' Metrolink and most airlines in the United States have also banned hoverboards, according to the MTA.